It's good news for many owners of hybrid vehicles, who are not only enjoying great fuel efficiency but could find their vehicles worth more when they come to sell. The Ford Fusion Hybrid, Toyota Prius C and Chevrolet Volt all ranked highest in their respective categories for resale value, in two resale lists that saw mainly import brands taking the top spots. Reports from both Kelley Blue Book (KBB) and ALG (via The Detroit News) saw imported brands topping many lists, with Hondas taking a clean sweep of the four smallest vehicle segments. Honda's Fit headed the subcompact category, Civic in the compacts, Civic Si in sporty compacts and the Accord came out top in the midsize vehicles list. 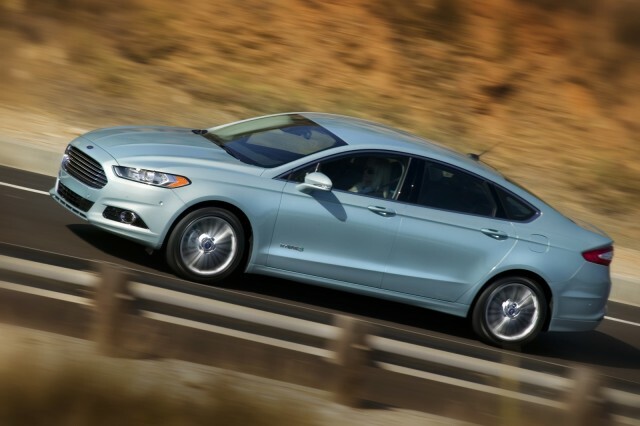 However, it's Ford's Fusion Hybrid which holds its value best in the hybrid/alternative energy car segment for KBB. It's estimated to hold 59 percent of its value after 36 months. In ALG's ranking, the 2013 Toyota Prius C tops the hybrid vehicles list. Meanwhile, the 2013 Chevy Volt currently has the highest resale values for electric vehicles--not bad at all, considering it's also selling in larger numbers than full battery-electric vehicles like the Nissan Leaf. The 2013 model even beats the Volt's performance in KBB's rankings last year--expected to hold 46 percent of its value after three years, up from 42 percent last year. The 2013 Toyota Prius Plug-In and 2013 Ford Focus Electric follow, with 43.5 and 39 percent respectively.